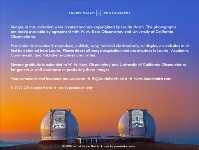 At the request of University of California Observatories and W. M. Keck Observatory, I was honored to make two photographic expeditions to the Island of Hawai‘i in 2007. Most of that time was spent not on the beach but rather on the slopes and summit of the Island's highest volcano. 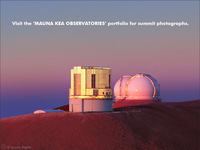 Mauna Kea holds profound religious and cultural significance for Native Hawaiians. It embodies their divine ancestral origins and connection to Creation. At 13,796 feet / 4,205 meters in elevation on the Island of Hawai‘i, it last erupted about 4400 years ago. The now-dormant volcano is only 120 feet higher than its active neighbor Mauna Loa 27 miles to the south. Seen from below and framed by palm trees and azure waters, the snow-cloaked summit of Mauna Kea inspires awe and veneration—its Hawaiian name means "White Mountain". 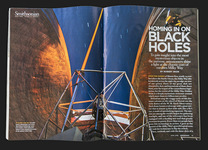 The star-filled sky above offers unsurpassed clarity for some of the world's most advanced telescopes as they unravel mysteries of the universe. Upon its flanks are hallowed Hawaiian sites, ancient paths, rare plants and animals, and a unique and fragile ecosystem. 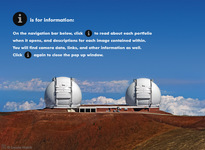 Please walk gently and respectfully on Mauna O Wākea, the Sacred Mountain of Hawai‘i.